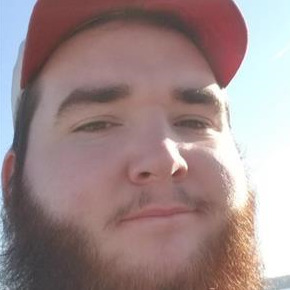 Austin Lee Beem, age 21, of Sullivan, Missouri passed away Monday, February 4, 2019 in Kansas City, Missouri. He was born in St. Louis, Missouri to Scott and Kimberley (Tierney) Beem. Austin graduated from Sullivan High School in 2016. His passion was playing the guitar and driving his vehicles including his beloved corvette and trucks. His career passion was welding and metal fabrication. He is survived by his father, Scott Beem and Elizabeth Hanks; mother, Kim Beem and John Pautz; brother, Joshua Beem and wife Sarah Beem and half- brother, Chris Beem and wife Cathy Beem. Also surviving are his grandmother, Letty Beem and numerous other family members. Austin was preceded in death by his grandparents: Jack Beem, Dennis Tierney and Judy Yow. Funeral Services will be held at 2:00 p.m. Saturday, February 9, 2019 at the Temple Baptist Church in Sullivan, Missouri with Pastor Scott Perry officiating. Family will receive friends Saturday from Noon until time of services at the Church. In lieu of flowers, donations are requested to the American Foundation of Suicide Prevention. Prayers for your family. So sorry for your loss. There is nothing worse than the passing of your child. My heart aches for you. Kim, I am so sorry for your loss. I can't begin to know what you're feeling, but my heart goes out to you and your family. Know that Austin is at peace now in the arms of the Lord, and the memories you have with him will live forever in your heart. To my cousin Scott and the rest of the Beem family I'm so very sorry for this extreme loss of someone so young. I cannot begin to imagine your grief at this time and can only offer peace and love to you.